On Saturday Aug 11 the valley filled with smoke from fire’s near and far. Earlier in the day we had rain accompanied by thunder – lightning was striking nearby. The heat wave we’ve been sweltering in left the forest primed for a fire, the lightning just touched it off. Three fires began north of town. Two in the Toronto Creek area and another in the Snowball Creek area. 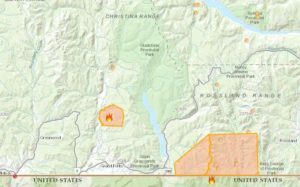 Another three fires are burning in the wider area: Two north of us at Upper Miller Creek and Lynch Creek and one just across the border from Midway. By the nightfall the wind had shifted and most of the smoke had in town had dissipated. Concert at Cannafest goers got a smoke-free last night to enjoy. Those waiting to watch the Perseid meteor shower had clear skies. 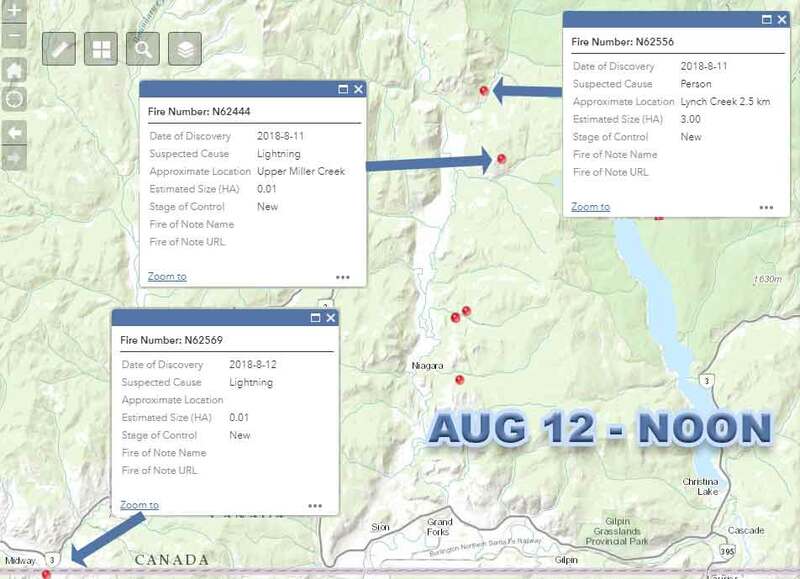 The map above came from the BC Wildfire Service. 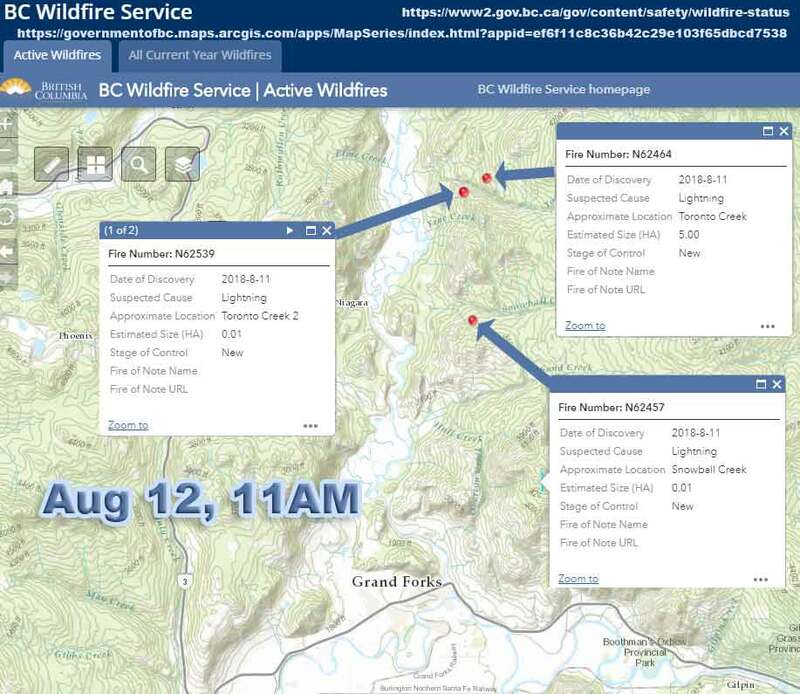 Go to www2.gov.bc.ca/gov/content/safety/wildfire-status and click on the Interactive Fire Map link to see for yourself the situation that exists now. 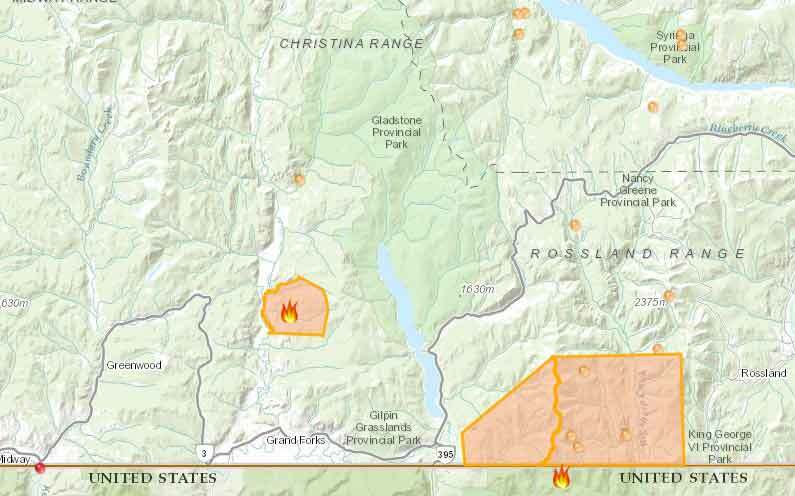 If you are searching further in the BC gov sites note that we are in the ‘Southeast Fire Region’. This entry was posted in Fire and tagged Lynch Creek, Miller Creek, Snowball creek, Toronto creek, wildfire on August 12, 2018 by gftvboss.